VANCOUVER, BC April 19, 2014 – Code Black is the standard Canadian hospital emergency code for bomb threat I learned today. My Easter Saturday began when I accidentally entered the locked-down perimeter of St. Paul’s Hospital in Vancouver, BC where I had a 10 AM appointment (something a Code Black should have prevented). Four hours later, I was able to leave St. Paul’s hospital with a successful medical encounter (the Canadian health care system is designed as a health care delivery system, as opposed to the U.S. which is designed as a health care insurance system) and with an eye-opening experience on how the New World Order and its “War on Terror” controllers have written hospital protocols to imprison and manipulate patients and staff in hospitals during emergencies. What makes this story “news” is that I learned through an expert consultant that the phone call to St.Paul’s hospital early on the morning of Saturday April 19, 2014 was in fact initiated by a party acting on behalf of a state, probably either Canada or the United States of America, as part of its so-called “War on Terror”. In other words, my expert evidence indicates that Canadian or U.S. government agents in this case covertly planned and placed a false telephone call to St. Paul’s Hospital to the effect that there was a bomb in the hospital complex. This initiated a Code Black procedure which froze all hospital staff and paitients in place with no information updates for four hours – a condition of attempted fear and authority manipulation. 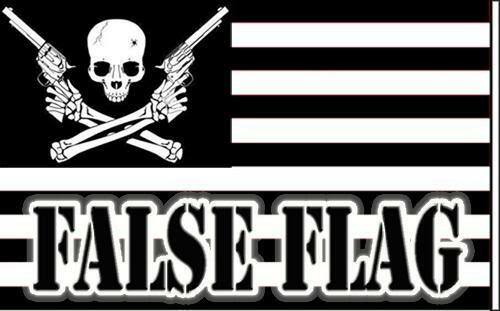 This Code Black therefore by the evidence appears to constitute a “false flag event”, designed by U.S. and Canadian government authorities to promote reign of domestic terrorism in Vancouver, BC and Canada in an attempt to erase protected citizen health care and constitutional freedoms. I arrived at a backdoor entrance to St. Paul’s Hospital at about 9:45 AM on Saturday with no inkling that anything was amiss (We will learn later how CBC News is prohibited from reporting Code Blacks). When I and the person accompanying me reached the back door we found it locked, and a half dozen of us knocked on the glass door. None of the 20 or so nurses on the other side would move. They appeared paralized; hypnotized by instructions. Finally one nurse got up, came to the glass door and pointed to her smart phone, which was illegible. Our small group shrugged and turned to walk away. Myself and my companion lingered and my companioned called the hospital switchboard on her smartphone and was told: “There is a bomb scare”. With those words, the surreal situation suddenly normalized itself for me. Just as we were turning to leave, a woman holding a purple exercise ball opened the back door and walked out, holding the door for us. I wanted to complete my medical appointment and felt intuitively the “bomb threat” was a hoax. My companion and I walked into the hospital and up to a department adjacent to where I was to have my 10 AM appointment. What we found were about 30 patients and 30 hospital staff in an open anteroom in lockdown, near shock, and with no information other than that they were in Code Black. We arrived as the knowledgeable ones with the information that “there’s been a bomb threat”, something none of the patients of staff knew. As I updated people, by agreement, my companion exited through the still open back door. I could see that the controllers who drafted the Code Black protocols had deliberately left any updating or briefing of patients and staff in the hospital out of the loop. The NWO U.S. (the FBI has one of its largest overseas offices nearby to the hospital) or Canadian agents who had covertly place the false bomb threat were intentionally exploiting this feature of the Code Black to instill fear and authority control over the patients and staff in this hospital. Over the next four hours, stricter conditions were placed on the patients and staff. No cell phones could be used. No one could enter or leave the hospital. I discreetly texted my companion to call the hospital switchboard for more updates, and also to call CBC News with a tip that St. Paul’s Hospital, one of the two major hospitals in Vancouver, BC, was under a Code Black bomb threat. Later I learned that the CBC News staffer stated that they were prohibited from reporting Code Blacks. After four hours the loudspeaker barked out “Code Black: All clear”. Patients and staff gave each other warm Easter weekend greetings, happy to be released. I asked the nurse attending my medical encounter if she had ever experienced a Code Black before.